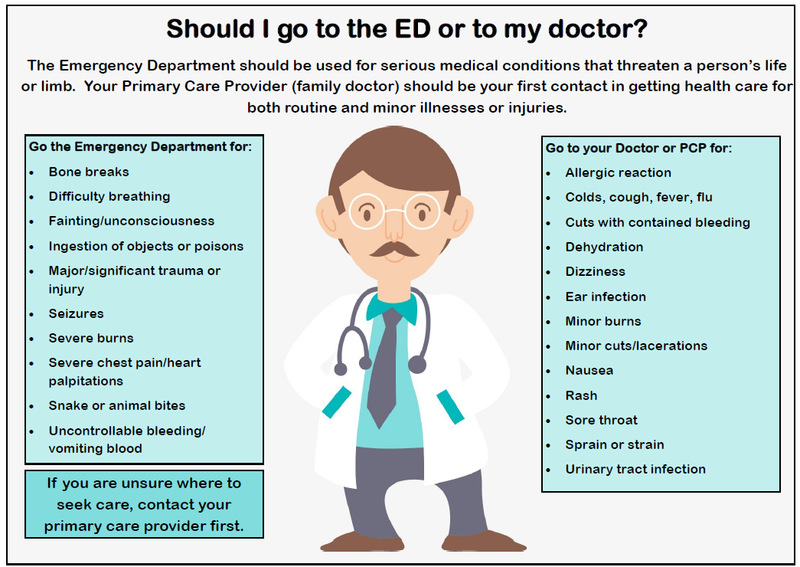 Sometimes it’s hard to know whether you should go to the Emergency Department or your Primary Care Provider. 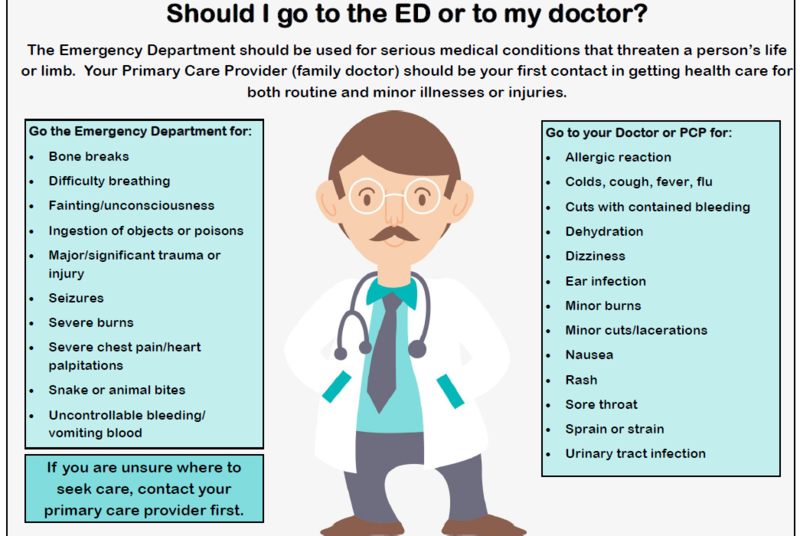 Many trips to the Emergency Department end up being unnecessary and could easily have been handled by a primary care provider. Knowing the difference between primary care and emergency care will help you know where to go when the unexpected happens. There are also huge differences in medical charges for primary care and emergency care. A trip to the Emergency Department is going to be a lot more expensive than a trip to your primary care provider. One reason is in the name – “emergency.” Emergency care requires a fully staffed department with topline medical equipment to treat true emergencies like stroke and trauma patients. The very nature of emergency care means a higher bill will reach your mailbox. A trip to PMH’s Emergency Department will reveal a professional, caring staff whose goal is to get you treated and on your way again as soon as possible. The Emergency Department is fully staffed 24 hours a day, 7 days a week and was designated a Level IV Trauma Center in 2014.